Let’s face it. We have all been there. We’re in the process of reviewing a client’s website and notice a slew of low quality directory and article links pointing to their website. We quickly have a call with the client who wishes to remove all the links immediately. Well, that’s great. We now have a large and tedious task of going through 100’s (possibly 1000’s of links) to remove. Sometimes a manual removal process is not feasible because they are simply too many links to remove or website owners ask for a fee to remove links from their website (which is clearly a scam). Luckily, Google has a process called disavow, which allows Webmasters to remove or disavow specific links or domains pointing to their website. These links will not be used in measuring SERPs (search engine results pages aka rankings). This is great for sites that have been manually penalized or are suffering from an algorithm update (such as Penguin). Having done this process more times than I would like to remember, I have put together a simple methodology. This should streamline the entire Google disavow process for you. And with the recent release of Penguin 3.0, you can be sure that many webmasters will be doing quite a bit of disavowing due to bad backlink practices from previous SEO work. You can also use Majestic’s URL Submitter tool to upload links from other sources. The tool provides the ability to upload a file containing up to 100,000 links, within 72 hours those links will be crawled and appear within Majestic’s database. Step 2: Now that you have compiled all the possible backlinks you can begin the process of compiling and removing duplicates. Combine all CSV files into one file by simple copy and paste. Now remove any duplicate backlinks by using this tool. There will be duplicates, so be prepared for a smaller list than what you started with. – Rearrange the Trust and Citation flow columns so it orders as Trust Flow in an ascending order, and Citation Flow in a descending order. This will greatly help you pin point the links that are highly likely to be spam or negative, a good first step. Find out why by checking out this Power User Tips post. And for this step, I highly recommend deleting any good links you find from the compiled spreadsheet. That way this excel document lists only the backlinks you want to disavow. Step 4: Once you have reviewed all your backlinks, the next step is to shorten the links to the root domain. More than likely, you will have several backlinks coming from the same domain (due to CMS tagging, categories etc). Its better (and simpler) to just disavow the entire domain. Take all your backlinks and paste them into this free tool and select “Trim URL’s to root.” Now you have a set of all your backlinks trimmed to the root domain, but wait, there still may be duplicates. Take your new list from the free tool and remove any duplicates using this free duplicate removing tool. Now you have a list of unique domains that are ready to be disavowed. Save this file on your computer and label it “Disavow File for Client_Name” along with the date. Step 6: Now it’s time to submit this file. Visit the Google Disavow page and select the website you want to do a disavow for. After a few disclaimers, you will be asked to upload the disavow file. Upload the disavow text file you just saved at the end of Step 5. Congratulations! You are done with the Disavow process. Make sure to save the file somewhere safe for future record keeping. Now it could take Google a while (several months sometimes) before the disavow is applied to your website. About the author: Zain has been in the internet marketing space for several years helping businesses of all types and sizes increase their online presence. When he’s not analyzing rankings, traffic and conversions, Zain likes to travel the world and visit exotic countries. Zain is also the founder and CEO of Search House Media, which is a results driven digital marketing agency. Zain has been in the internet marketing space for several years helping businesses of varying sizes increase their online visibility. When he’s not analyzing rankings, traffic and conversions, Zain likes to travel the world and visit exotic new countries. Zain is also the founder and CEO of ChiroScout, which is a results driven digital marketing agency for chiropractors. At the end Zain uses notepad to add the text "domain:" to all the links. Interesting method. I did not know about the URL Submitter tool. Looks promising as no tool is exhaustive. 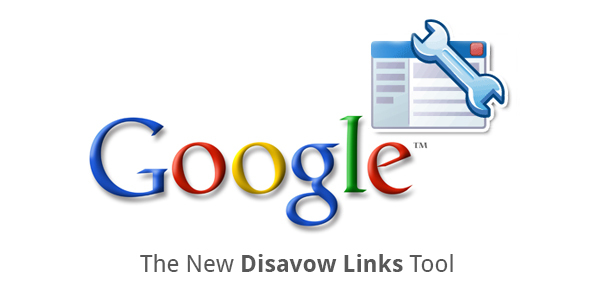 Now: is there a way to keep track of the links we submitted to the Google disavow page in Majestic? It would be nice to have such an indicator (maybe for site owners only). Hope the tutorial was helpful!